Whether it’s exotic holidays or timesaving takeaways, paying to relax or ease the pressure of our daily routine means big business for those who are on the receiving end — and money misery for those of us who just want an easy life. When you’re stuck in a rut, it can take a major jolt to remind you of the old cliché: the best things in life are free. This mindful approach to your pre-work routine can put you in good stead for the rest of the day. Whether you’re at your desk, feeling lost in your lunch hour, or struggling with the commute home, you can apply similar low-cost solutions to feeling better about your surroundings. That means eating healthy, being respectful towards your own body, and making time to do things properly. 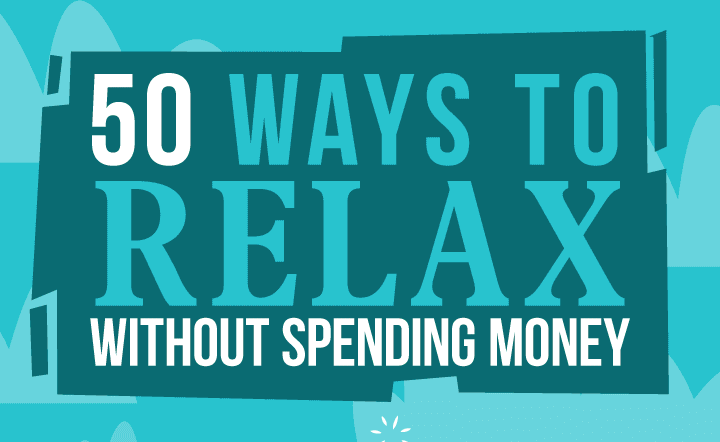 For a raft of specific tips on how to excel at these strategies and feel better day-to-day without breaking the bank, check out the list of 50 proven relaxation tips in this excellent new infographic.